Chiriqui Highlands around Volcan: 'Little Switzerland' in Panama. The Chiriqui Highlands area around Volcan and Boquete and the foothills of 11,490 foot Volcan Baru are simply breathtaking. The area is often referred to as Little Switzerland. There are plenty of mountains here, but no snow-covered peaks and no skiing. However, the area gets its nickname not so much from the mountains in the region but from the fact that many Swiss natives settled here early in the last century. Although less than a dozen miles apart, Volcan and Boquete are separated by the peak of Panama's tallest mountain. No road exists between the two, though there has been talk of building one. Boquete is about 25 minutes from David, along a road directly from tat capital city. Volcan is 45 minutes away, past David toward the Costa Rican border and then right at the town of Concepcion. 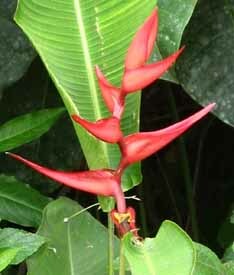 David, close to sea level, is warm, but Volcan and Boquete enjoy spring like weather all year long. Even in the rainy season, typical mornings are bright with sunshine, then clouds roll over the peak and rain drenches the fertile countryside for an hour or two before clearing. Chiriqui's rich volcanic soil produces most of Panama's special coffees, fruit and vegetables, terraced fields clinging to many of the mountainsides and hills. The area is home to the rare quetzal, trout-filled rivers, and farms where prized racehorses are bred. 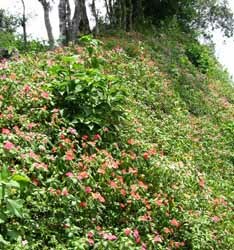 Mostly, it is unspoiled agricultural land populated by wildflowers any North American gardener would pay good money to cultivate. Contributing further to the feel of Switzerland is the chalet-style architecture of many of the houses, unlike those of any other area here. There is even a small community named Nueva Suiza, New Switzerland. 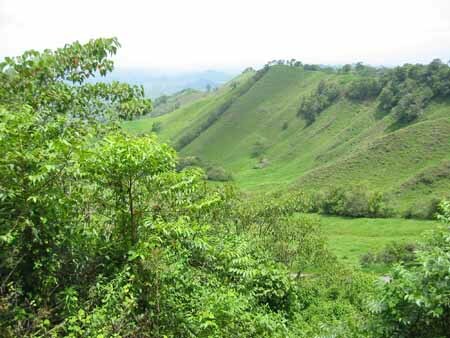 The Chiriqui Highlands are a favorite destination for ex-pats and property investors alike. The climate suits most, excellent hospitals are nearby in David, and Boquete has shown how prices in the rest of the area can, and probably will, rise dramatically.